Mr. William Pawelec was a U.S. Air Force computer operations and programming specialist with numerous credentials in security technologies and access control systems. In 2000 - 2001 before the historic National Press Club Disclosure event in May 2001, Dr. Greer went around the world videotaping over 100 witnesses. Some asked that their testimony not be released until their demise. Mr. Pawelec is one of those. Mr. William Pawelec passed away on May 22, 2007 and CSETI received permission to release it in December 2010. 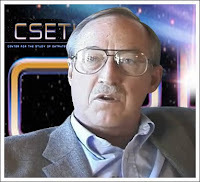 According to Dr. Greer, Mr. William Pawelec had numerous credentials in security technologies and access control systems prior to his passing on May 22 in 2007. In the interview, he gives details about extraterrestrial visitations and spacecrafts, four parallel global elite governments, highly advanced network systems, underground bases at the secret military testing facilities at Grooms Lake in Nevada "Area 51", assassination plots and control mechanisms, microchips and tracking technologies, nitrogen bullets, and other numerous black budget operations.